Remember that teacher when you were young that was just a little more fun than the others? Recess went longer..pizza parties..and you still learned stuff..and YOU LIKED IT. Chris Ballew, of twice grammy nominated rock band, The Presidents Of The United States Of America, is that teacher. His curriculum? He threw it away and wrote "FUN" on the chalkboard. 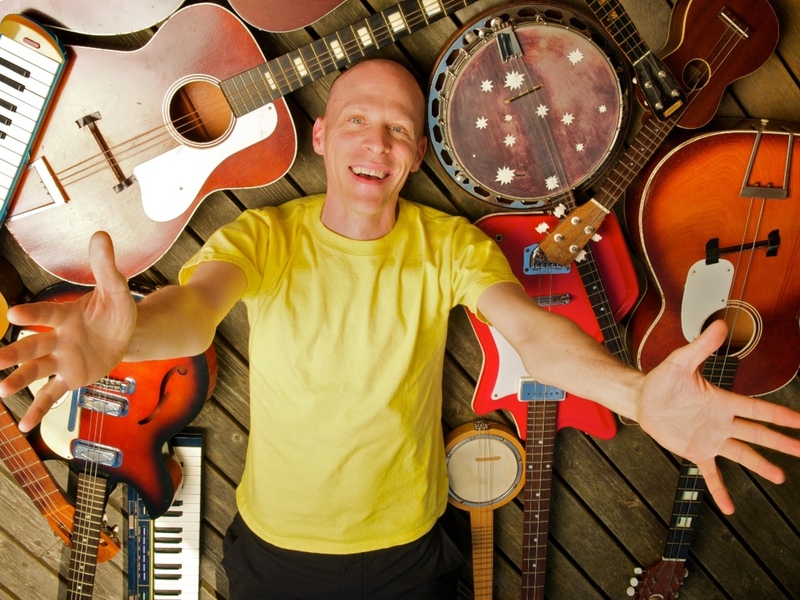 We all need more fun, and Caspar Babypants' playful vocals, giggly guitar and knack for jolly jigs will have young and old in their desks and ready to learn. Any questions?